"Redefine your Finances, Redefine your Life!" Your money is a tool to get you where you want to go. Having a plan for your money is essential to successfully running a household as well as a business. At Energema, we listen! We then work with you to develop a sound plan of action allowing you to realize your dreams, home ownership, financial independence, travel, retirement, etc. while still enjoying life. We assist small business owners with specifying the direction and goals of the business and developing a budget and business action plan that will bring those goals to fruition. At Energema we teach an easy step-by-step process for purchasing and maintaining a home. Our home buying classes include experts in mortgages, insurance, real estate agents, appraisals, home inspections and closings. Prospective home buyers benefit from group and one-on-one counseling to make buying your first or your next home a pain free process. Our curriculum addresses creditworthiness, affordable mortgage options, home owner's insurance and maintenance and building equity. Individuals, families and entrepreneurs come to Energema to be counseled in all areas of financial management. After a thorough evaluation of your debt and income information, we assist you with goal setting and developing a sound financial plan that allows you to realize your dreams of home ownership and financial independence, while still enjoying life. We assist entrepreneurs with specifying the direction and goals of the business and developing a budget to keep your business running smoothly. Debt can bring unnecessary hardship on a family and it can destroy a small business. Many people are not aware that they can be proactive in their financial liberation. 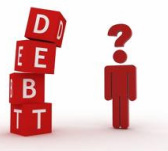 Energema counsels individuals, families and small businesses in all areas of debt reduction. After a thorough evaluation of your situation, we help develop a plan to get you free from the burden of debt. We also provide counsel and information on dealing with creditors, delinquent debt settlement, and avoiding debt reduction scams. Our daily money management services bring clarity and order to your daily management of personal bills, budgets and record keeping. We make life easier and more organized for anyone who wants assistance with day-to-day finances including the elderly, disabled, busy professionals, small business owners, frequent travelers, business or pleasure, and military personnel while deployed for extended periods of time. We assist clients with activities such as bill paying, day-to-day banking, notary services, budgeting, paperwork, and organizing records/receipts in preparation for income tax filing.